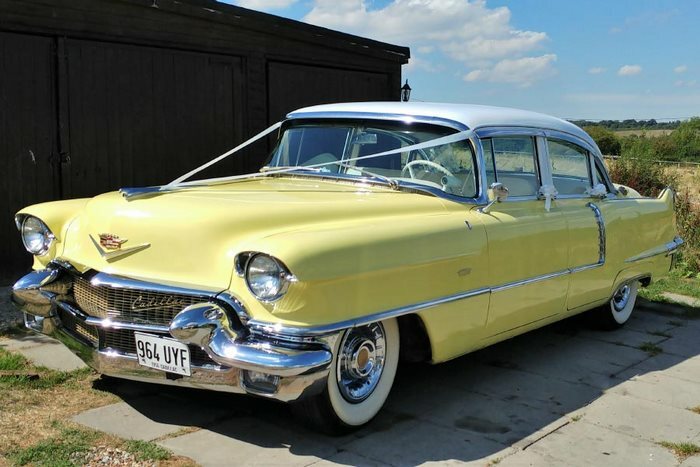 Newly restored 1956 Cadillac 5 Passenger Sedan finished in Soft Pastel Lemon/Primrose with Ivory Roof. 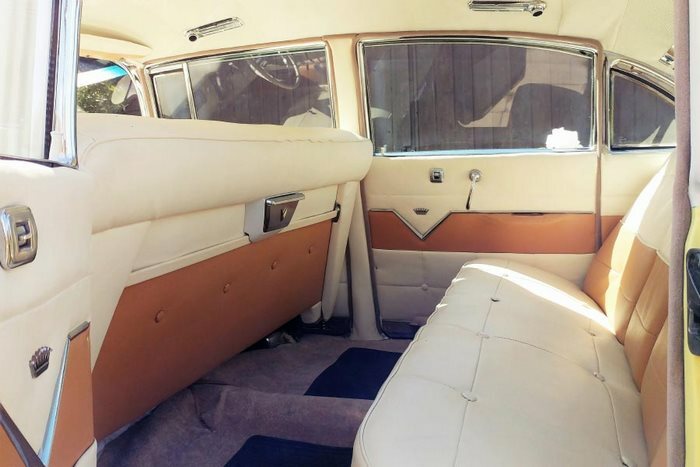 Her interior is two-tone Ivory and tan leather throughout. Purchased by and belonging to American dignitaries in 1956, she found her way south to Pennsylvania, where in 1978 she was barn-stored by her second owner. She was not found again until a land owner bought the barn and land on which it stood, and found the car under a sheet in 2013. We bought her from said land owner, and have completed a full restoration back to her former glory. The is car is one of 5 left in Europe and 20 left in the US. She is believed to be the only known survivor “non-Deville” ’56 Caddy to come with every consevable option available at the time, including: Electric Seats, Electric Windows, Electric Boot, Air-Conditioning, Automatic Dipping Headlights, and the very rare Gold Anniversary front Grill.